Do you love football? If the answer to that question is yes, then this customisable football sticker is the one for you! 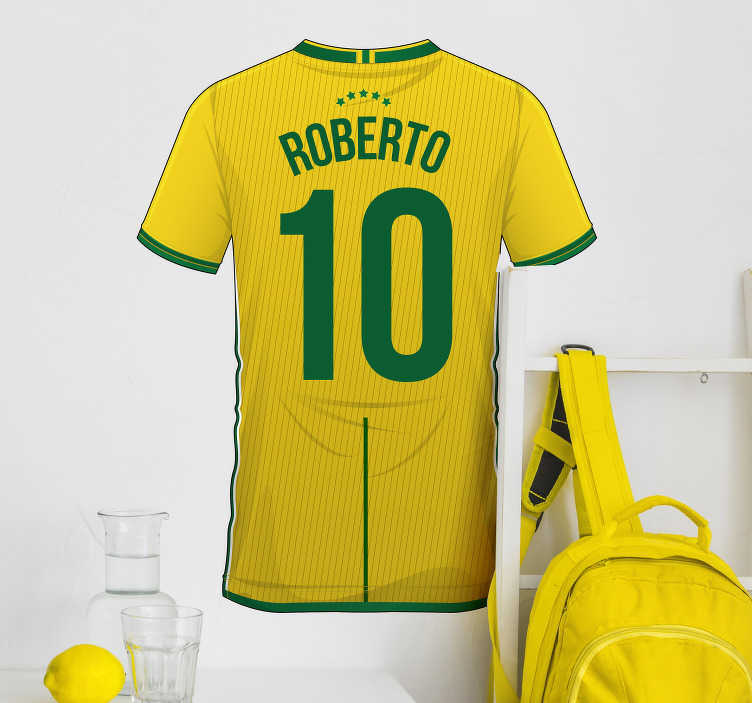 Depicts the classic, traditional Brazil football shirt, with a customisable name and number included! So, whatever your Brazilian, or English name, and whichever number you fancy, and buy this sports sticker now!